The Fifth Annual Conference of the Centre for the Study of Global Ethics will be held on 30-31 May 2019 at the University of Birmingham. 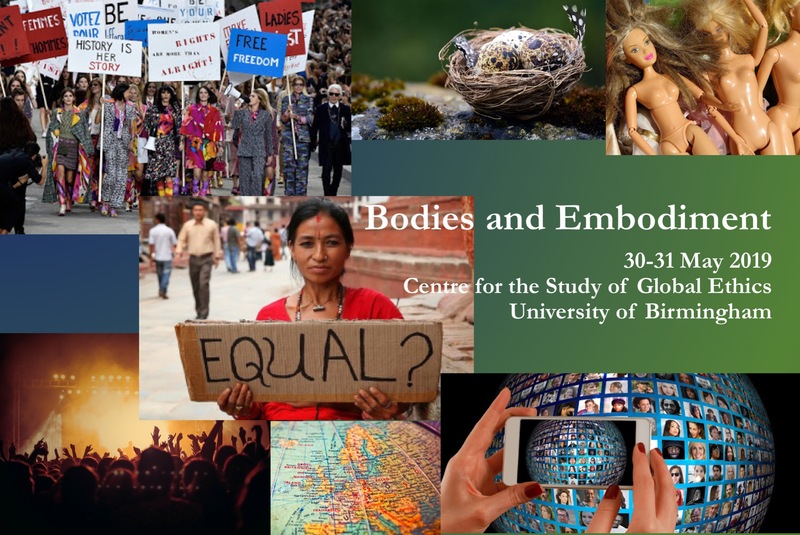 The conference’s theme is Bodies and Embodiment across disciplines. We welcome abstract submissions regarding the Conference’s central theme, as well as other topics in global ethics (including, but not limited to, climate change, gender justice, distributive justice, political theory, humanitarian ethics, and bioethics). The deadline for submission is 1 February 2019. Hi Fabunmi, you are more than welcome to attend! Please go to the conference website for more information. You can register via the “Registration” page.